I’m working on a book that is going to be lavishly illustrated. That’s publisher-speak for having lots and lots of illustrations. Which is neat and nothing I have any experience of before because when I’ve written articles that’ve been illustrated, that’s been on the order of one or two images. 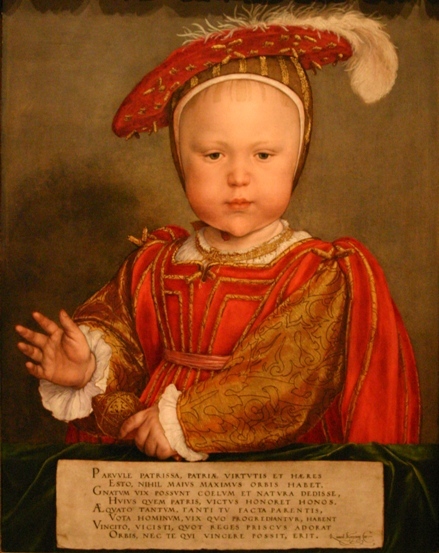 Sure, I had to pay the Royal Collections for a photo to illustrate my chapter on the posthumous image of Queen Jane Seymour (as well as the right to reproduce that work in the modest print run it required) and I suggested the wonderful picture of an infant Prince Edward to illustrate my piece on Richard Morison. But it wasn’t until I worked on this book that I began to understand how much work and how much money can be sunk into illustrations. First off, there’s licensing. If an image is in copyright, of course you’ll need to license it. With the various copyright extensions, this goes back a ways: in the U.S. copyright covers a wide swathe of twentieth century history. Some recent works are released under Creative Commons licensing and other strictures that obviate the need for sometimes costly licensing. But even much older works – a nineteenth century painting, a seventeenth century watercolour – might need to be licensed if the high quality image you need to provide your publisher is only available for a few from the museum, private collection or agent with whom you’ll have to treat. Also, it’s important to note that those large and lovely pictures you stumble upon online are rarely suitable for use as an illustration. Web graphics are standardized at 72-75 dpi (dots per inch) while graphics for publishing need to be 300 dpi. Even a photograph that appears bigger than your laptop screen will rarely be up to the task of serving as a print illustration unless you’re happy with teeny-tiny pictures. You need a TIFF or other image file of really impressive quality: in which case, you pretty much need to turn to a handful of specialized websites. If you go with some of the commercial outfits that mostly cater to textbook and major media outlets, you’ll see costs quickly running into the hundreds of dollars for one image for five to ten years. Are you publishing in one country or worldwide? Ebook as well as print? English only or are translations envisioned? All of those add to the tally! Now, if you’re writing a textbook that will be superseded by the next edition in three to five years, that may not seem like a bad deal. When your publisher’s talking about having this on their backlist for years to come, that kind of economics gives you pause. Not every one of the commercial sources are quite so problematic. I’ve found that the Bridgeman Art Library is both more reasonable in pricing and rich in all sorts of sources a historian might want to employ. Non-commercial image resources abound: I’ve had good experiences with the national libraries and archives of several countries. Many have contracted outside companies to manage their digital libraries but you can quickly arrange for reproductions that they’ll deliver by FTP. Most of these charge a very reasonable fee for their services: I’ve been paying on the order of $20 to $40 for such images and rights. But free is fabulous and one of the best resources for free historical images has been the Library of Congress Prints and Photographs Catalog. A few times I’ve had to pay a modest amount for a HQ image that isn’t freely available online but they have a number of excellent images that are freely available in a publishing-friendly TIFF format. These are hardly just from American history: I’ve found Japanese and British images from the 19th century and earlier, both out of copyright and freely available for download and use from the Library’s collection. Let me tell you that I’ve felt pretty darned cunning at all the fabulous pictures I’ve discovered that will perfectly illustrate the historic elements we want to emphasize. Plus, others of the library’s free images are just plain fun such as this 1872 print of popular horse breeds! I’m a graduate student who stumbled across your blog from another blog, and just wanted to note how helpful this post was for me. I am getting ready to publish my first article (and by getting ready, I mean still working on adapting the big project to article-length, so still very early in the process here), and wondered how to go about securing rights to publish a couple of images from my research. All good things to know — thanks. You’re welcome! It’s good to know that you have access to reproduction-ready graphics for an article when it’s approved. Very rarely will a journal have the money or labour to do this so it’s all on the academic’s shoulders. And glad to meet you – happy are the coincidences that bring us from one blog to another at the right moment!